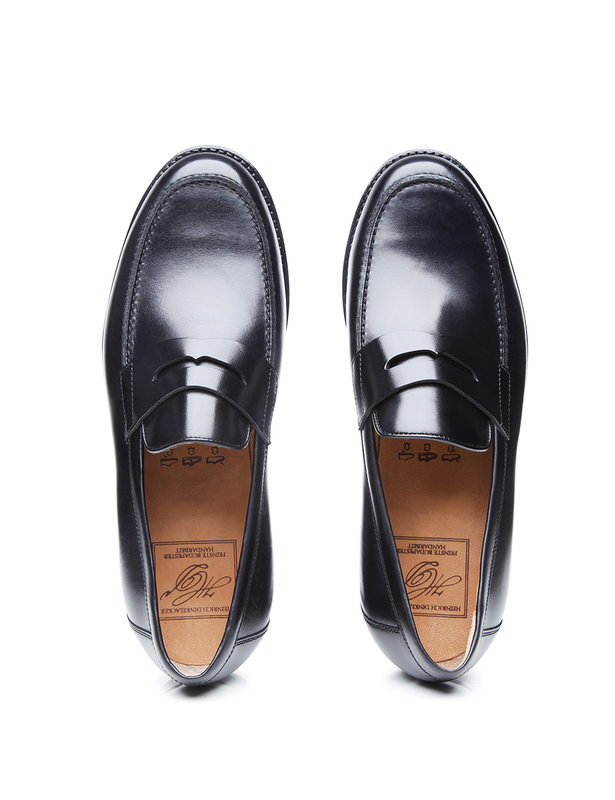 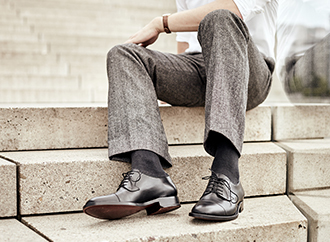 A wonderful alternative to the classic lace-up shoe, the light and breezy penny loafer boasts an average width. 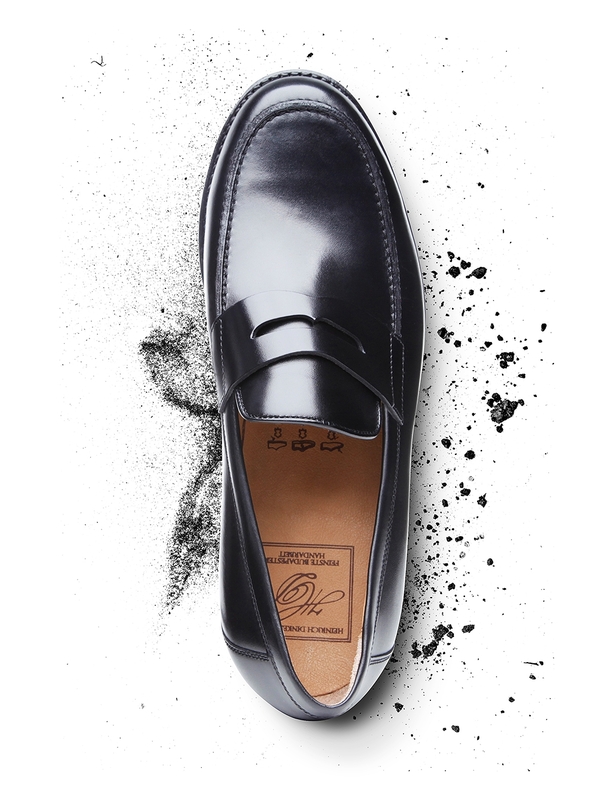 This comfortable slip-on shoe is already extremely popular in the US and Italy as a summer and leisure shoe — and not just on weekends, either. 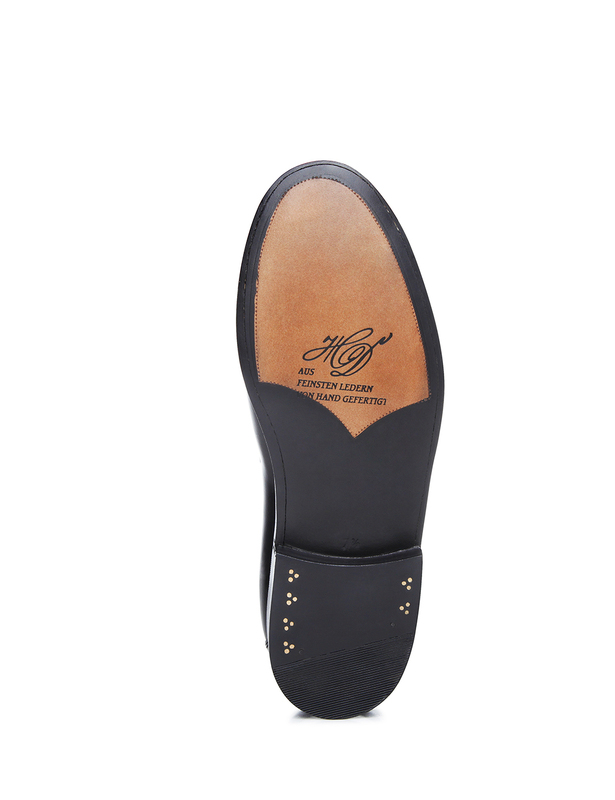 It is marked by the leather strap running across the instep, as well as for the U-shaped vamp insert accentuated by a striking decorative seam. 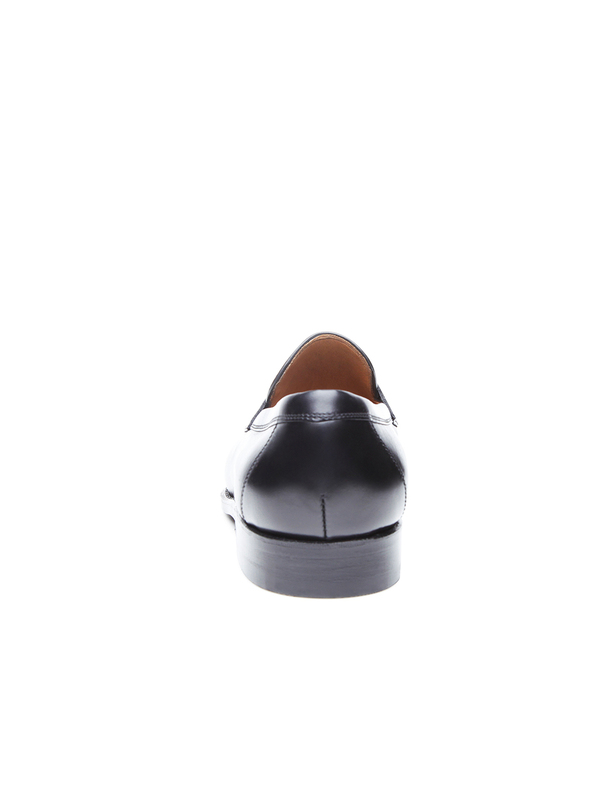 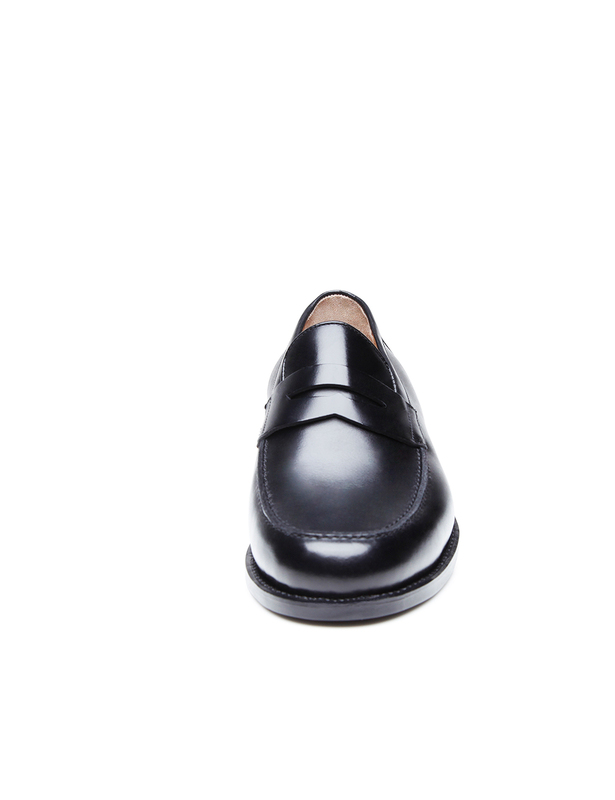 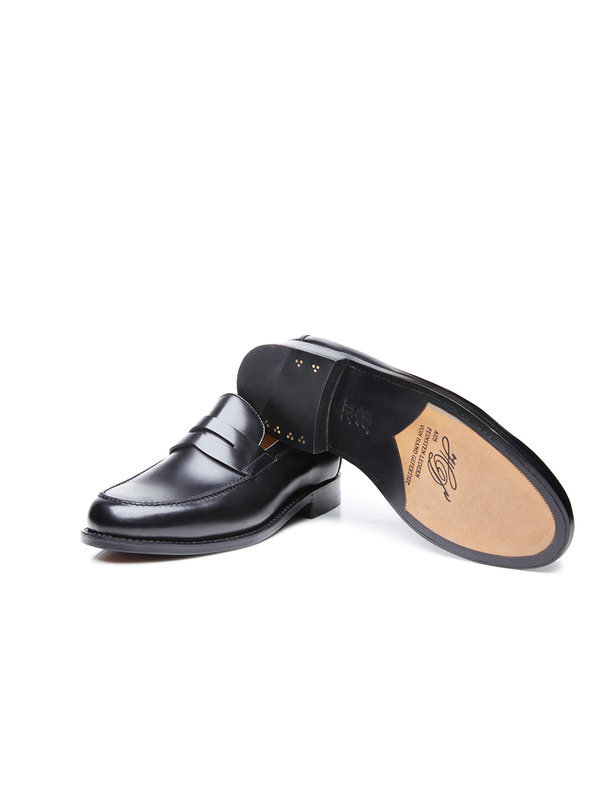 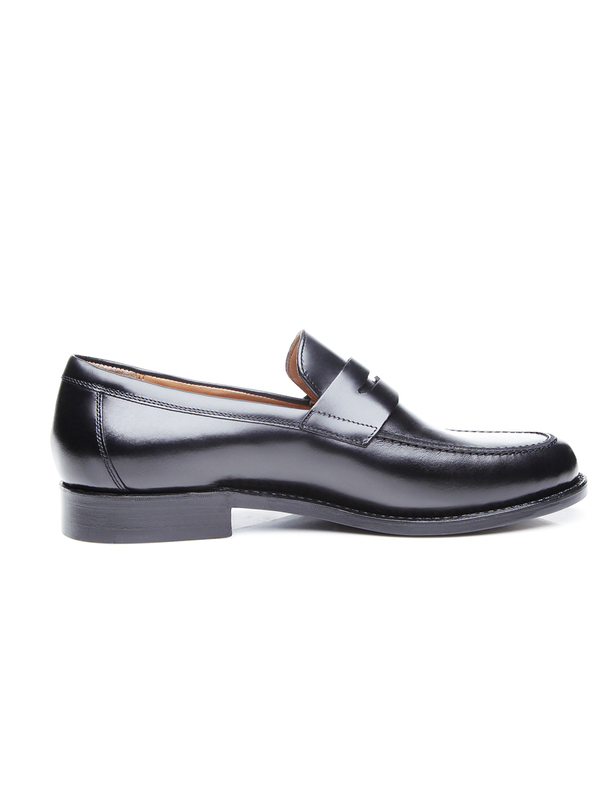 Handcrafted and Goodyear-welted, this model boasts a shaft made of gleaming black calfskin. 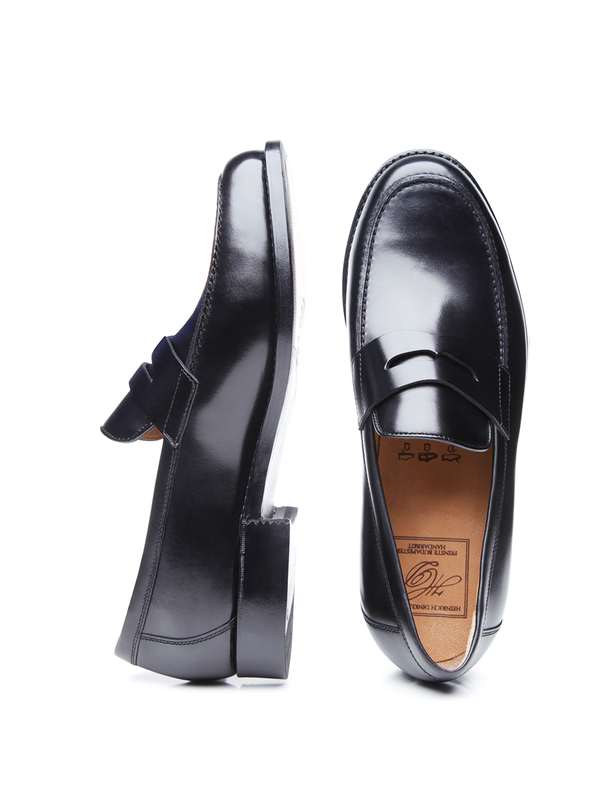 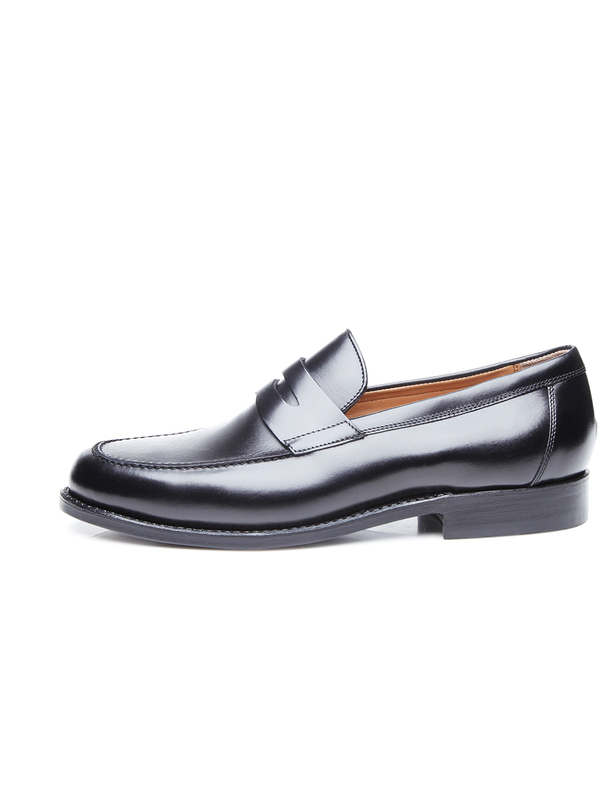 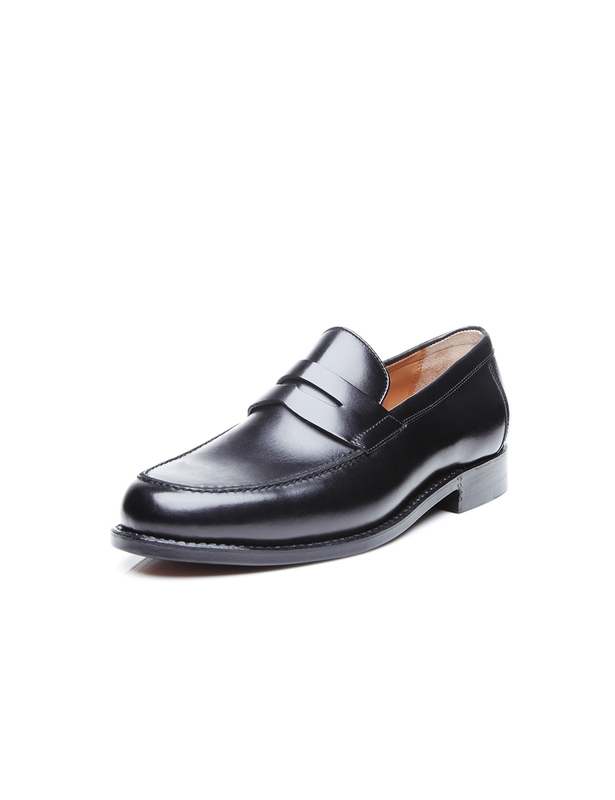 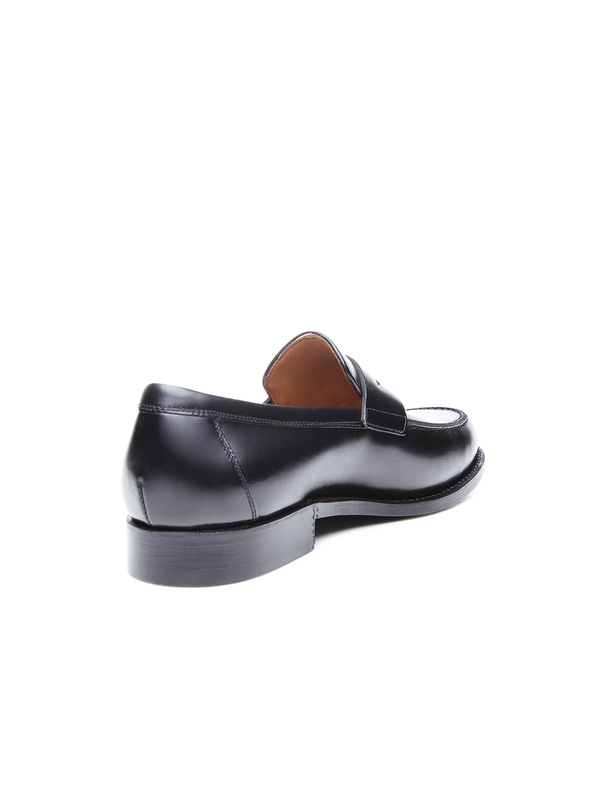 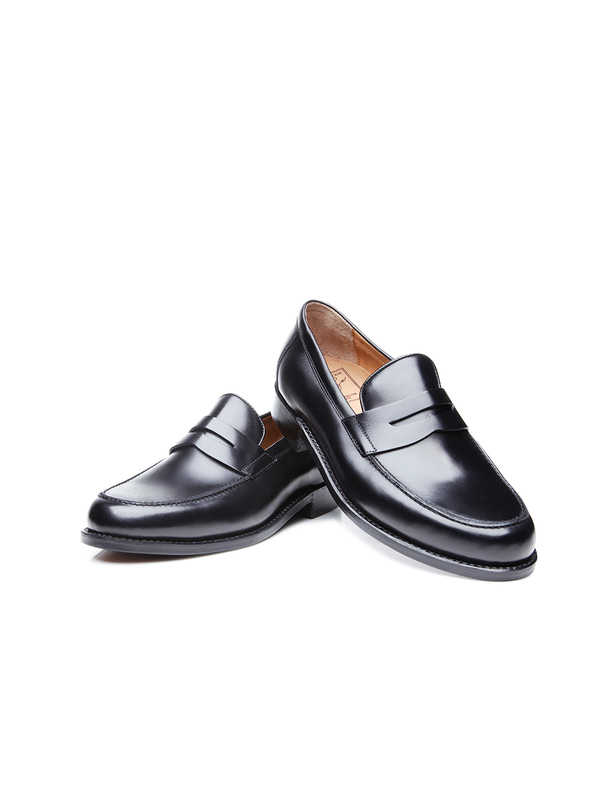 From leisure activities to weekend fun, this penny loafer is the perfect choice for virtually any occasion.